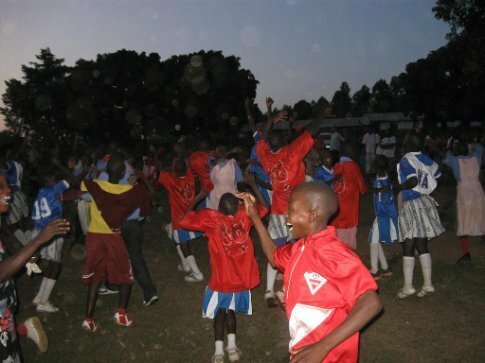 Our KAASO schoolkids jubilantly celebrate winning the local championship in BOTH football and netball! That little boy in the front is adorable!! Congrats to the kids for winning!